This article is to assist in locating the following countries, and to know more about political geography in Southwest Asia. The countries are: Afghanistan, Iraq, Iran, Saudi Arabia, Israel, and Turkey. Afghanistan, Also known as The Islamic Republic of Afghanistan, is located in a more eastern part of Southwest Asia. Afghanistan is divided into thirty four (34) Provinces, further divided into three hundred-ninety eight (398) provincial districts. The capital city of Kabul is located in the eastern section of Afghanistan. The population is mainly Islamic, mostly Sunni. 85% of the Muslims in Afghanistan are Sunni, 15% being Shia. The official languages of Afghanistan are Persian and Farsi. Afghanistan, in world ranking, has the forty second (42nd) largest population, and the forty first (41st) largest mass. Afghanistan is bordered by Iran, Pakistan, Turkmenistan, Uzbekistan, and Tajikistan, “Stan” Meaning “country of” In Persian. Iraq, also known as The Republic of Iraq, is in above the Arabian Peninsula and west of Iran. Iraq is divided into eighteen(18) provinces. The capital city of Baghdad is east of the center of Iraq. The population is mainly Islamic, the majority of them being Shia. About 65% being Shia, the remaining 35% are Sunni. The official languages of Iraq are Arabic and Kurdish. Surrounding countries include Iran, Saudi Arabia, Turkey, and Syria. 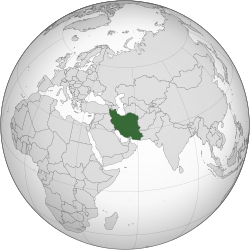 Iran, also known as The Islamic Republic of Iran, is located east of Iraq, and northeast of Saudi Arabia. Iran is divided into thirty one (31) provinces. The capital city, Tehran, Is directly south of the Caspian Sea, and in the northern section of Iran. The population is mainly Islamic, and mostly Shia. Iran was originally known as Persia, and in result, Iran’s main language is Farsi. Nearby countries include Iraq, Azerbaijan, Turkey, Afghanistan, Pakistan, Armenia, and Turkmenistan. Saudi Arabia, or The Kingdom of Saudi Arabia, is the largest country in the Arabian Peninsula, and one of the southern most countries in Southwest Asia. It is divided into thirteen (13) provinces, which are further divided into governorates, one hundred-eighteen (118) In total. The capital city, Riyadh, is located in the southeastern section of Saudi Arabia. The majority of the population is Islamic, and mostly Sunni. About 85%-90% of Muslims in Saudi Arabia are Sunni, while the remaining 15%-10% are Shia. The official language of Saudi Arabia is Arabic. Nearby countries include Oman, Kuwait, U.A.E. (United Arab Emirates), Qatar, Jordan, and Iraq. Israel, also known as The State of Israel, is located in the very western parts of Southwest Asia, bordering the editerranean Sea. Israel itself is a state, and does not contain many smaller sections. The capital city of Jerusalem, a holy city to Jews, is in the eastern section of Israel, more or less down the middle horizontally. Israel is the only Jewish majority country in in the world. The official languages of Israel are Hebrew and Arabic. Nearby countries include, Egypt, Jordan, Syria, and Lebanon. 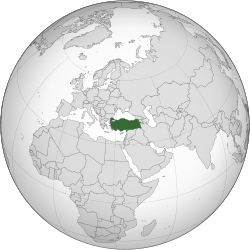 Turkey, Also known as The Republic of Turkey, is in the northern section of Southwest Asia, also to the west. Turkey is divided into eighty one (81) provinces, further divided into districts, leaving nine hundred-twenty three (923) districts. The capital city of Ankara is in the northwestern section of Turkey. The majority of the population is Turkish, and a small portion being Kurds. The official language of Turkey is Turkish. Nearby countries include Syria, Armenia, Georgia, Iran, and Iraq. Saudi Arabia is located in the Arabian peninsula. Afghanistan is located in the eastern part of Southwest Asia. Iran is located east of Iraq, and northeast of Saudi Arabia. b. Locate on a world and regional-physical map the nations of Afghanistan, Iran, Iraq, Israel, Saudi Arabia, and Turkey.